After years of playing minor roles in film and television, Sonequa Martin-Green eventually got her acting breakthrough when she was cast in the horror drama series The Walking Dead. Her role as Sasha Williams in the long-running series which lasted from 2012 to 2017 helped establish the actress among TV audience and equally gave a much-needed boost to her career. In December 2016, Sonequa Martin-Green was announced to become the first black woman to play a lead role in the Star Trek series – she was cast in the Sci-fi drama series Star Trek: Discovery. 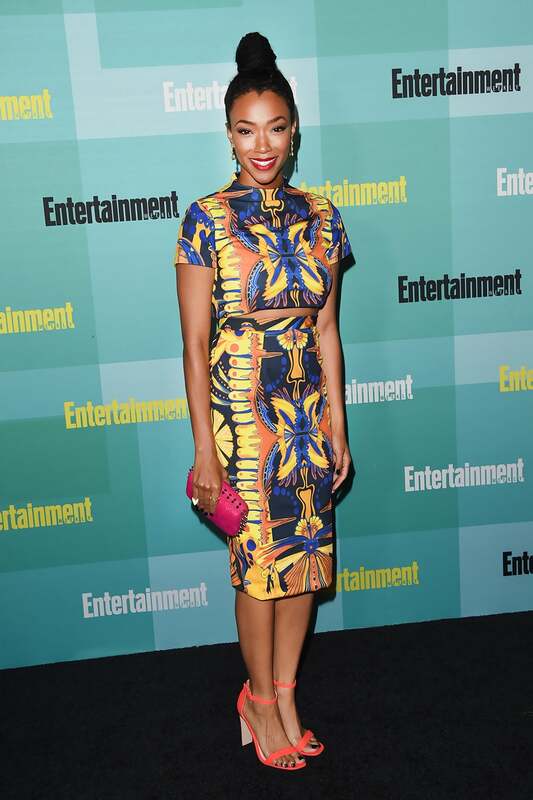 Her epic portrayal of the lead character First Officer Michael Burnham in the show’s debut season earned her the 2018 Saturn Award for Best Actress in a Television Series. Sonequa Martin-Green was born on March 21, 1985, in Russellville, Alabama. Her parents are Vera and Charles Martin. She has 4 siblings; 3 older half-sisters and a younger sister. Sonequa had her high school education at Russellville High School, Alabama. Growing up, Martin-Green had dreams of becoming a psychologist. However, she started acting in her sophomore year and by her 10th grade, there was a shift in her career aspirations. She went on to pursue a college degree in theatre at the University of Alabama, graduating in 2007. Sonequa Martin-Green launched her professional acting career while still in college. Though she eventually rose to fame for her notable TV roles, this talented actress actually marked her debut in the 2005 indie comedy film Not Quite Right. This was followed by more roles in a number of Independent movies after which she eventually marked her television debut with a guest role as Kiana Richmond on NBC’s Law & Order: Criminal Intent (2008). Martin-Green’s small screen résumé was further boosted when she landed a recurring role as Kanessa Jones in Army Wives (2009) followed by a much bigger role as Courtney Wells in the CBS legal drama The Good Wife (2009–2011). The talented actress also starred in the drama films Rivers Wash Over Me (2009) as well as Yelling to the Sky (2011). In 2012, she played the role of Michelle Terry in the short-lived police procedural series NYC 22. Having paid her dues over the years, Sonequa Martin-Green landed a well-deserved breakout role in 2012 when she was cast in the hit zombie apocalypse show The Walking Dead. The actress had initially auditioned for the role of Michonne which went to Danai Gurira. However, the role of Sasha Williams was specifically created for her thanks to then-showrunner Glen Mazzara who was determined to have her on the project. After 3 successful seasons (3-5), Martin-Green’s role as Sasha Williams was upgraded to a major one for seasons 6 and 7. Basking in her new-found fame as a bonafide TV star, the talented actress also appeared in the series Once Upon a Time (2013), New Girl (2016-17), as well as a voice role in the Disney XD animation Penn Zero: Part-Time Hero (2017). A few months after wrapping up her five-season run on The Walking Dead, Sonequa Martin-Green landed another career-defining role as the lead actor in the big-budget action TV series Star Trek: Discovery (2017-present). 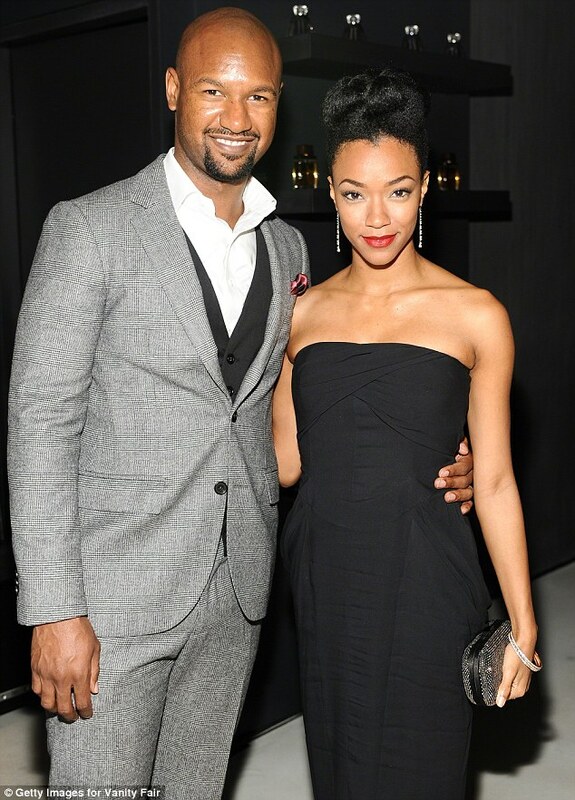 Sonequa Martin-Green is married to actor and writer Kenric Green. Seeing that they are colleagues in the acting industry, it comes as no surprise that the duo met at Princeton’s McCarter Theater while costarring in the play Fetch Clay, Make Man. The couple tied the knot on December 4, 2010. Martin-Green and her husband equally co-starred in the long-running series The Walking Dead with the latter playing a minor character Scott. The couple welcomed their first child on January 10, 2015, a son named Kenric Justin Green II. Thanks to her dad who was a martial arts enthusiast, Sonequa Martin-Green developed the passion for physical fitness at an early age. As early as age 5, she and her sister were throwing punches and doing pushups as regular bedtime routines. While in college, the actress got certified as a stage fighter by the Society of American Fight Directors. In addition to regular exercise, the Walking Dead actress equally has a firm reign over her diet. Standing at a height of 5 feet 4½ inches (164 cm), Sonequa Martin-Green sports an enviable physique as she maintains a body weight of 54 kg (119 lb).